Arcade games and vending machines have come a long way since their humble beginnings. Retro arcades continue to delight customers while contemporary counterparts also drive a smart argument for facility owners. 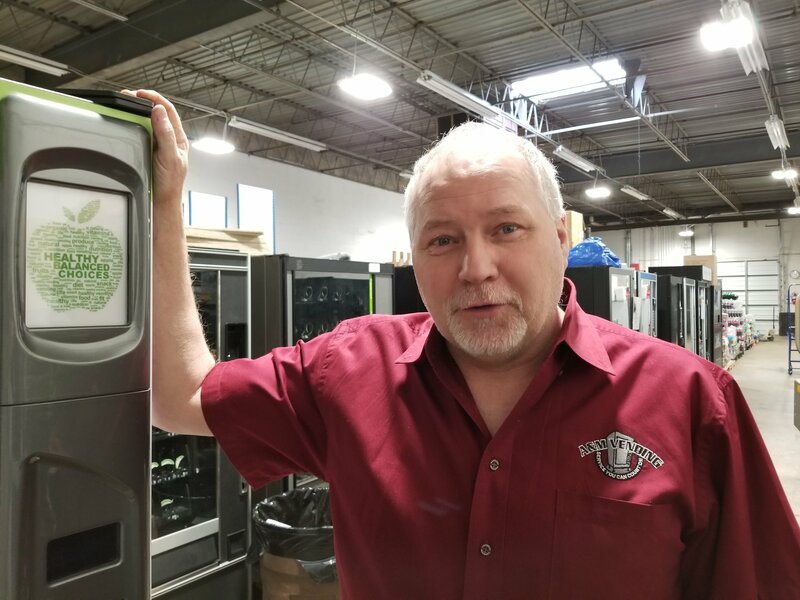 Some businesses continue to adhere to the traditional style of games and vending with cash and tickets while others now embrace the swipe card technology. Here are some trends in ticketing and swipe cards with arcades and vending services. In addition to his business, Birmingham Vending, Steven Toranto operates an arcade using tokens and tickets in Panama City, Fla. He strongly believes that the old-school feel delights guests and gives the arcade an edge. Toranto said some businesses do better with the swipe cards, but not all reap the benefits right away. Bill Graham, vice president, VendMadic Repair and Machine Sales in Cinnaminson, N.J. The credit card option has given a good lift for sales in the last year or year and a half, he said. Graham’s wife Diane Graham is the company’s president. Toranto explained that the SEMNOX system provided his company with a lot of success. The Parafait solution suite offers a full-circle, automated system to keep costs low and customers happy. Toranto added that he does see a strong market for coins and cash in the business. In Cinnaminson, N.J., Bill Graham runs VendMedic Repair and Machine Sales and its sister company, A&M Refreshments. Graham said vending machines offering both cash payment as well as credit card have become fairly mainstream. He noted that a few customers have asked for a no-cash option, but most continue to offer both. His machines offer vending for more than just drinks and snacks. One customer’s company sells Etsy-type items from a vending machine. Some industries also distribute employee gear like work gloves from vending machines to ensure workers access only the items that are due to them on a regular basis. Lansdale Amusement Company in Trumbauersville, Pa. operates under a revenue share philosophy with primarily coin-operated amusement machines and jukeboxes. The company partners with the Quakertown Farmer’s Market’s arcade, which is the only retro arcade in the area. The upscale arcades in the area seem to rely on swipe cards and electronic tickets where you feed the paper tickets into the machine and get back a printed slip with your ticket count and a QR code or similar. The Funplex Amusement Centers in East Hanover, N.J. offers guests hours of fun inside and out, with an arcade, laser tag, bowling, and an outdoor waterpark. The company recently upgraded its Embed card system to now use RFID capability, which is a fairly major upgrade to 340 readers that now boast the ability for programming. Williams noted that the upgrade to use RFID was pretty expensive to change all of the readers at both facilities—one at Mount Laurel and one at East Hanover. Now he said guests can come and purchase an attraction wristband and he is able to load a deal directly onto the band. This functionality works especially well for birthday packages. Moreover, his company can use this bonus programming to offer special deals on off-peak days during the week, free video games, double ticketing, and more. In the game for more than three decades, Williams remembers the thrills kids had winning piles and piles of tickets at the arcade. The new cards alleviate the burden of transporting the tickets, counting them or weighing them and allowing for redemption. Parents and kids can now see how many tickets are on their accounts by viewing their profile on the card. Tapping the reader will also show how many credits remain. Despite still having a few games spilling out tickets, the idea behind it is mainly for aesthetics. Williams indicates that coin-operated games have largely jumped the shark as the company fully converted from tokens a number of years ago. During a lengthy conversion, they still honored tokens and converted the tender to the new system for customers who brought coins into the center. The cashless and ticketless system The Funplex uses now allows for better and easier reporting with greater control over many aspects of business operations. Williams said that The Funplex has major plans to enhance the park with a $4 million renovation plan. The new improvements will include 20 bowling lanes, an improved go-kart track, rides, a lightshow, and new food and beverage options, to name a few. The theme will pay tribute to the New Jersey boardwalk scene. “Cashless readers are a big factor in our expansion plans,” Williams said.